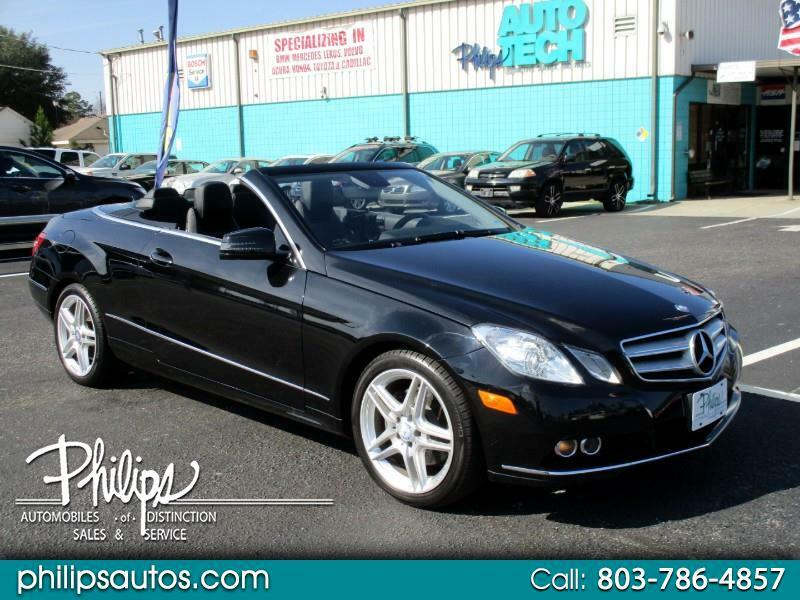 Beautiful E-Class Convertible with Clean Carfax, Fully serviced, Low miles, Two Keys, Books and in Excellent condition. This Black on Black is a Beauty and with option like Keck blowers and Heated seats, wind power deflectors you can enjoy the top down on a cool evening. Some other options are Back-up camera, Navigation, Bluetooth and XM radio(with 3 month free trial). Philips has fully serviced this E350 in our 4 star Bosch service center and extend a 3 month 3000 mile warranty thru Preferred warranty(up-gradable at time of sale) so you can drive with confidence. Please call Dub Rountree for more details. Philips has been decorating driveways with luxury import cars since 1983 to the Columbia market and across the nation. Quality cars, Fair prices with an outstanding reputation! Most IMPORTANT Service after the Sale and No DOC FEEs ! Philips has been decorating driveways with luxury import cars since 1983 to the Columbia market and across the nation. Quality cars, Fair prices with an outstanding reputation! Most IMPORTANT Service after the Sale and No DOC FEEs !